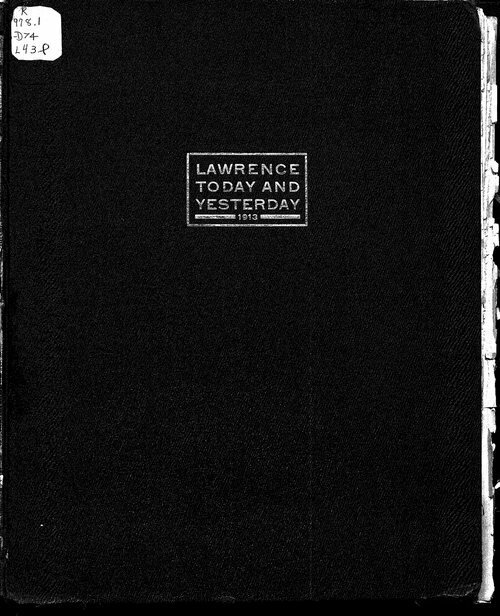 Lawrence--Today and Yesterday was published by the Lawrence Daily Journal-World as a magazine and souvenir edition commemorating the semi-centennial memorial of the Lawrence Massacre. It contains articles and photographs about the people, institutions, history, and activities of the City of Lawrence and Douglas County in Kansas. A wide variety of notable people and community institutions is represented. The University of Kansas is also represented. Of particular interest is the information on Lucius Elmer Sayre, the Dean of the School of Pharmacy at the University of Kansas. A photograph of Sayre appears on page 17; photographs of the School of Pharmacy's prescription compounding room, drug laboratory, and pharmacognosy room appear on page 23; and an article on the School of Pharmacy by Dean Sayre appears on page 75.